Sony Pictures Networks India Private Limited's premium English movie channel, Sony Le Plex’s press launch was conceptualized & executed by Team Candid at Four Seasons, Mumbai on 23rd August. 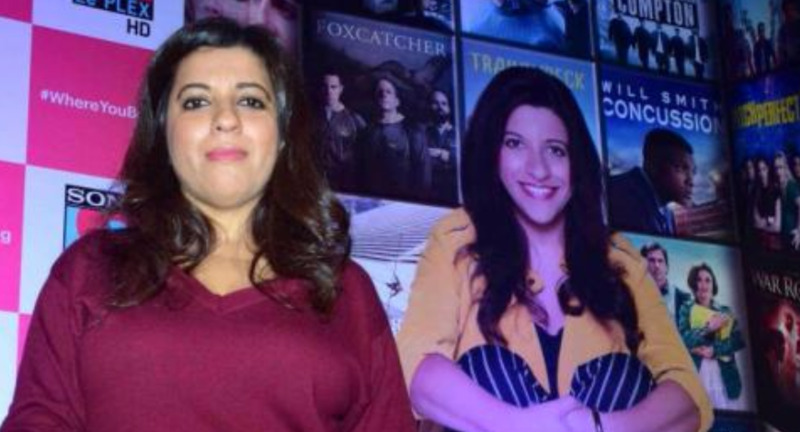 The new channel has brought on board acclaimed writer and director Zoya Akhtar as its Community Ambassador. Zoya Akhtar and the SPN India’s top officials attended the launch event. The common passion for great cinema and storytelling brings Sony Le PLEX HD and Zoya Akhtar together in creating this premium hangout place for movie lovers to hangout, unwind and converse. The focus for the channel is to present the movies in a manner not seen before. The network has made significant investment in securing rights for movies from Hollywood and the Premieres on the channel includes 'Spotlight', 'Ex-Machina', 'Foxcatcher' and 'Straight Outta Compton' to name a few.